There are numerous ways in which water can penetrate your home and cause significant deterioration of both the interior and the exterior of your property. Not only can the damage prove a sore sight for you to look at, but it can also compromise the structural integrity of your house. 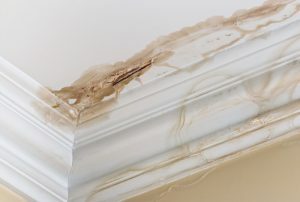 In order to properly stave off any potential damage to your property, there are several tips that water damage Rancho Bernardo professionals suggest. The outside of your home is the first line of defense so you should check it or have it checked first. Here are some things to look into. The first thing to do is inspect whether there are any defects in the structural integrity of your home. Let’s start from the top. First, check the roof for missing or broken tiles and shingles. Look into the chimneys, vents and flues, and see if there is any damage. Second, inspect all the added specialized equipment, such as roof air-conditioning units, and check for leaks around it. Finally, ensure that the hips and ridges are in good shape. Make sure your gutters and downspouts do not direct water too close to your home. Water should be directed no less than five feet away from the foundation. In case there is a blockage in your drainage system, clean it thoroughly, then install metal screens to prevent further occurrences. Paint should not be peeling from your doors and windows, nor should it be discolored. Your door frames should not be swollen. These are some of the first signs of water damage. You can protect exterior doors and windows by adding overhangs. Also, check if all the doors close with a tight fit. When inspecting the integrity of the walls, first check the masonry – problems with sliding boards, bricks, or stone. If there are any holes produced by wire, cable, or air conditioning installation, seal them off with foam or caulk. Nature can prove a worthy opponent when fighting water damage. Here is some advice on how to win. Tree limbs can pose a problem for roof integrity. If there are any tree limbs hanging directly above your roof, cut them to prevent moisture retention. In addition, during strong winds, roof shingles and tiles can be physically damaged by the branches above it, so you should definitely remove them. Various debris, such as leaves and twigs, can clog your gutters. There is no protection against it, so your best course of action is the abovementioned – regular cleaning and protective screening. No landscaping features should be put along the walls of your house. Shrubs or climbing vines can and will cause problems. Termites are one of the biggest problems homeowners face. Inspect your house for termite activity, and, in case of any, immediately contact local professionals. It is essential to protect your home from water damage. The problems are many, but so are the solutions. Still, you might find yourself overwhelmed by the challenges. Also, there are some thing you simply cannot predict or prevent on your own, such as a slab leak or a pipe burst. This is why you should always have a number of a reliable water damage Rancho Bernardo professional at hand. KIC Restoration is your go-to restoration company – do not hesitate to contact us online 24/7 in case of any emergency!